Apartments "HOLIDAY" is located in Brezina, the most beautiful part of Petrovac , and Petrovac is one of the most visited destination on the Adriatic coast. Those who have discovered the charms of family holidays, long beaches and peaceful atmosphere that Petrovac offers its guests, came back again. 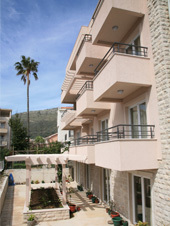 Apartments "Holiday" are equipped with modern and luxurious building which was built in 2009. 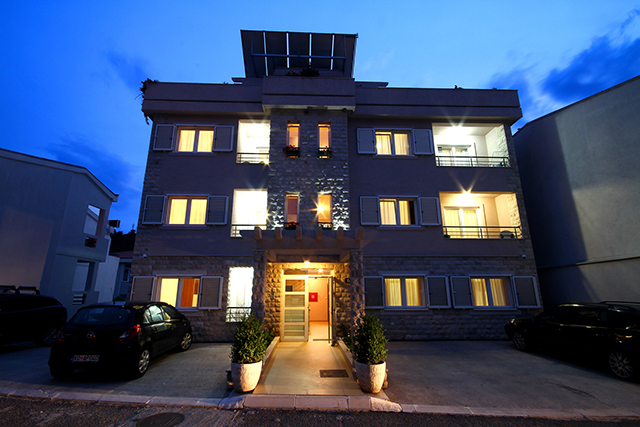 We are glad that we can offer you one of the most beautiful and most modern apartments in Petrovac (part of the interior you can see on the page "Gallery"). There is possibility as well to rent a car or transfer service to and from airport for our guests. In a hope that we will meet your expectations, combined with our wishes that you have pleasant vocation, thank you for your trust.